This article explains how to enable Staff members for online bookings. Enabling Providers is the first step to have them displayed on the Online Booking system but doing this only is not sufficient. Configuration of the Location and selection of the appropriate Services or Classes for each Provider is essential for them to be shown online. 3. 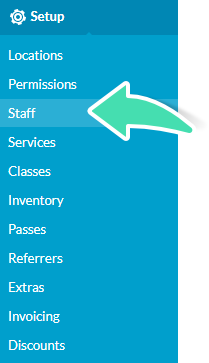 Click on the Staff Member. 4. Tick the Enable Integrations checkbox on the right side column. 6. Make sure the staff member’s Discipline is correct as it will be displayed online. 7. Click Upload Photo to add a photo, which will be visible to Clients when selecting a provider (optional). 9. Repeat for each Staff member that needs enabling for Online Bookings. Verify that the Schedule of each staff member is accurate in the Diary to avoid booking unavailable spots. See Setting Up Staff Schedules for more information. 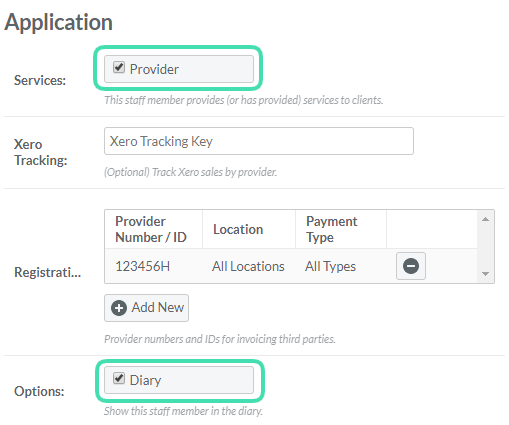 When using Online Bookings, create an Event to block a certain spot in the Diary.